Statehood Media’s new digital strategy focuses on mobile-friendly trip planning across its portfolio; announces Booking.com as its online partner for lodging. Explore the new websites at www.1859magazine.com and www.1889mag.com. Map navigation and instant booking right from your mobile device. Intuitive sorting helps customers plan trips and find your business! MARCH 2, 2017—Statehood Media today launched a new digital strategy across its portfolio to facilitate trip planning and booking of lodging properties through its websites and in coordination with Booking.com, a global leader in online accommodations. The new mobile-friendly websites feature a sophisticated look and inspired travel content with simple navigation that facilitates the booking of your next trip. A key piece in the new digital strategy is the integration of Booking.com’s online booking tool. Statehood Media chose the premier online lodging booking service, Booking.com, as its accommodation fulfillment partner. “We are delighted to have partnered with Statehood Media to help increase our footprint in Oregon and Washington by providing the broadest selection of properties to our global guests,” said Rob Marshall and Ryan Kolnick, Booking.com business development team. To get your property listed on Booking.com, sign up here. Statehood Media, LLC builds brands and social communities through compelling storytelling. We create content and market it across platforms and boundaries. 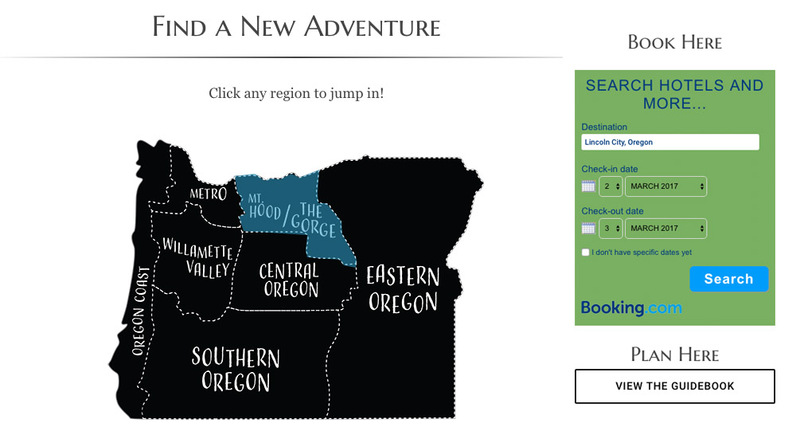 Located in Bend, Oregon, Statehood Media is home to titles such as: 1859 Oregon’s Magazine, 1889 Washington’s Magazine, OnTrak-adventure + lifestyle along the Amtrak Cascades route. Find us at https://statehoodmedia.com. Booking.com B.V., part of the Priceline Group (Nasdaq: PCLN), owns and operates Booking.com™, the world leader in booking accommodations online. Each day, more than 1,200,000 room nights are reserved on Booking.com. The Booking.com website and apps attract visitors from both the leisure and business sectors worldwide. Click the logos to explore.